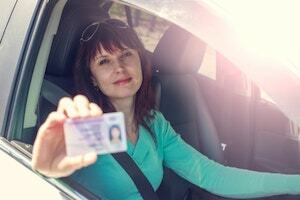 Having a license to drive is vital for most of us. The Law Office of Robert E. Mielnicki could not function if Pittsburgh Driving Under Suspension Attorneys Robert E. Mielnicki and Karissa N. Murphy did not have a license to drive. "Excellent experience with Karissa. She was already there when I showed up to court and have already taken care of everything to where I got the best outcome possible. highly recommend her. Was also the best price in town." Any Felony in the Commission of Which a Court Determines That a Vehicle Was Essentially Involved. With respect to suspensions imposed for any of the above, you cannot be found guilty or plead guilty and then fight the suspension. You must hire an experienced criminal defense attorney such as Pittsburgh Driving Under Suspension Attorney Robert E. Mielnicki and defend the charge. The Law Office of Robert E. Mielnicki has received hundreds of calls from those who pleaded guilty to crimes or offenses, who were never informed that their license would be suspended. If your conviction was for something like DUI or some other matter that was resolved in the Court of Common Pleas, you were likely informed that your license would be suspended but many who are cited for summary offenses, including Reckless Driving, are not informed by the District Magistrate that their license will be suspended. If this happened to you and you received notification from the Department of Transportation that your license will be suspended, call the Law Office of Robert E. Mielnicki immediately. 75 Pa.C.S.A. § 1543 (a) - This is charged when a person is caught driving when their license is suspended for an offense that is not related to a DUI conviction or a chemical test refusal following an arrest for DUI. The punishment for this violation is a $200 fine. A second offense can carry as much as 6 months in jail and a $1000 fine. A sixth offense carries a mandatory jail sentence of at least 30 days in jail. Pittsburgh Driving Under Suspension Attorney Robert E. Mielnicki sees inconsistent enforcement of these enhanced punishments for repeat offenders. House arrest would be a permissible sentence for these jail sentences. 75 Pa.C.S.A. § 1543 (b) - This is charged when a person is caught driving when their license is suspended for an offense that is related to a DUI conviction or a chemical test refusal following an arrest for DUI. The punishment for this violation is 60 days in jail and a $500 fine for a first offense, 90 days in jail and a $1000 fine for a second offense, and at least 6 months in jail and a $2,500 fine for a third offense. House arrest is a permissible sentence for this offense. 75 Pa.C.S.A. § 1543 (b) (1.1) - This is charged when a person is caught driving when their license is suspended for an offense that is related to a DUI conviction or a chemical test refusal, following an arrest for DUI, and their blood alcohol content is greater than .02, or they refused chemical testing when stopped. The punishment for this violation is 90 days in jail and a $1000 fine for a first offense, at least 6 months in jail and a $2500 fine for a second offense, and at least 2 years in jail and a $5,000 fine for a third offense. House arrest is a permissible sentence for this offense, but such would have to be State Intermediate Punishment for a third offense. Additional periods of suspension will be imposed for convictions for any of these offenses. Three convictions for serious offenses such as DUI in a 5-year period can lead to a suspension for a period of 5 years. You need an experienced attorney if charged with Driving Under Suspension. An experienced attorney can help you get the charges reduced or secure a not guilty verdict. Police and prosecutors often believe that the simple fact that the official Department of Transportation record shows that notice of suspension was mailed proves notice of the suspension, Such is not true and there is caselaw confirming that actual notice must be proven. You may not have had actual notice that your license was suspended and if you had your license on you, when the officer stopped you, you have a good chance of being found not guilty. You may have been unlawfully stopped and, if so, the ability of the officer to identify you as the driver, may have been the result of that unlawful stop. This could occur if the officer thought your license was suspended, when the officer, who may know you, saw you drive. That officer should have verified such in some way before the stop!